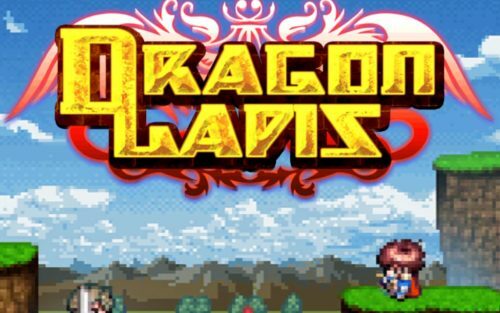 There is 1 review for 'Dragon Lapis'. A long time ago the world was in a great danger. Two Dragons : Gold Dragon and Silver Dragon wanted to destroy the world. One day a hero named Alaric sealed both Dragons after a fierce battle. Both Dragons lost their powers and became humans. The Story follows the Royal Knight named Lucas. He is a Royal Knight sent by the King to guard the Raunof Village from possible danger. One day he meets the Prince who seems to be selfish and Melvin who can do anything for money. Sadly next day the Village is destroyed by Silver Dragon who wants to restore his own power and release even greater danger than both Dragons. Lucas with the help of Iria , Melvin and Elodie want to stop the Silver Dragon by gathering Seven Dragon Lapis containing the powers once sealed. Will they succeed? If not, The Evil will rule over the world. The gameplay is enjoyable and easy to get used to. It’s a sequel to the Dragon Sinker but the only thing that proves it is the Ancient Heroes. Growth Plate System is pretty straight forward and you can make each hero go in different ways. However, as far as I enjoy playing the game, there are some things that aren’t done well. The balance of the game isn’t done great (I love the system but it’s too easy to be at high levels early) but it’s not bad. Controls can lead to seeing characters move backwards most of the time at some settings and the strongest enemy isn’t giving anything at all. Overall it’s a decent retro game and if you enjoyed Dragon Sinker, you’ll be satisfied with this game. Side Quests are easy to find. Each Job has a good set of skills. A lot of places to visit. The Enemy Guide helps to keep track of every monster and his drops. Infinity Pentacle is again not rewarding at all. What do you think of Growth Plate and Job Classes?